Yesterday we had our first look at Henry Cavill as Superman, and today Warner has released the first official picture of Anne Hathaway as Selena Kyle/Catwoman from next summer’s The Dark Knight Rises. I understand that this is an action shot, but I can’t help but feeling totally underwhelmed by the outfit on display. Granted, we don’t know the context of the image, we don’t know if she’s in or out of costumer, but if you’re going to send out a teaser pic I would have preferred something that shows off the character in full attire. It’s certainly not Michelle Pfeiffer’s Catwoman. 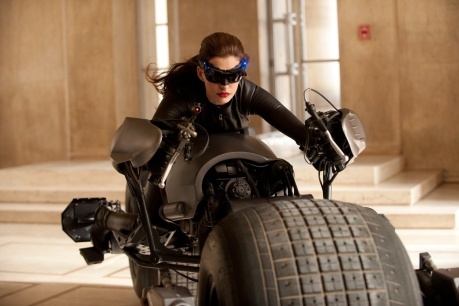 What’s your first impression of Anne Hathaway’s Catwoman?